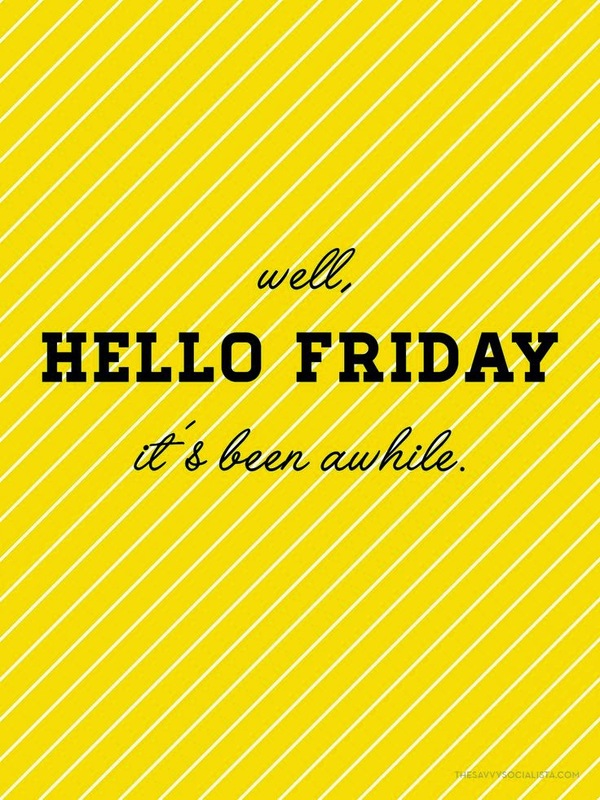 This week has been so ridiculously busy - I can't even believe 7 days have passed since I was last wishing Happy Friday's out and celebrating the arrival of the weekend. This week has been nuts because today, I FLY TO MILAN!! Despite the fact I've had a busy week, honestly, all I've done is work and this week's FFF will be a boring one (maybe?) compared to the usual. MILAN - I can't not mention it really, can I? I'm so excited. I might not get to see much (if any?) of the standard tourist must-sees BUT we're booked into some pretty delicious looking restaurants - and, you know me, I luuuurve my food! It's going to be a crazy few days. MY EXCITING NEWS - I wrote this week about taking a chance - a chance on life, on the experiences we are fortunate to have and the opportunities that we are met with - whether expected or not. I don't want to say a lot about this news as it isn't finalised but, seriously, if it actually pans out the way I think it will - it's going to bloody amazing. CHILDISH GAMBINO - I've always been a big fan, but this week I've been flitting between Childish Gambino and Kendrick Lamar on Spotify - not entirely sure how well this has gone down in the office! SHEFFIELD - This wonderful city is the one that holds my heart. Despite all of the places I've seen around the world - Sheffield is home. I had such a fun weekend with Emily and the others - I told you about it here, and the hungover trip we paid to the lovely Somewhere Else. A SPONTANEOUS DINNER - there's always that danger when you move into a houseshare of not getting on with the people you live with. Fortunately, the girls I share with are great. This week, we decided on a spontaneous dinner to our local TGI's. I will never get over how good their Jack Daniel's Sesame Chicken is!